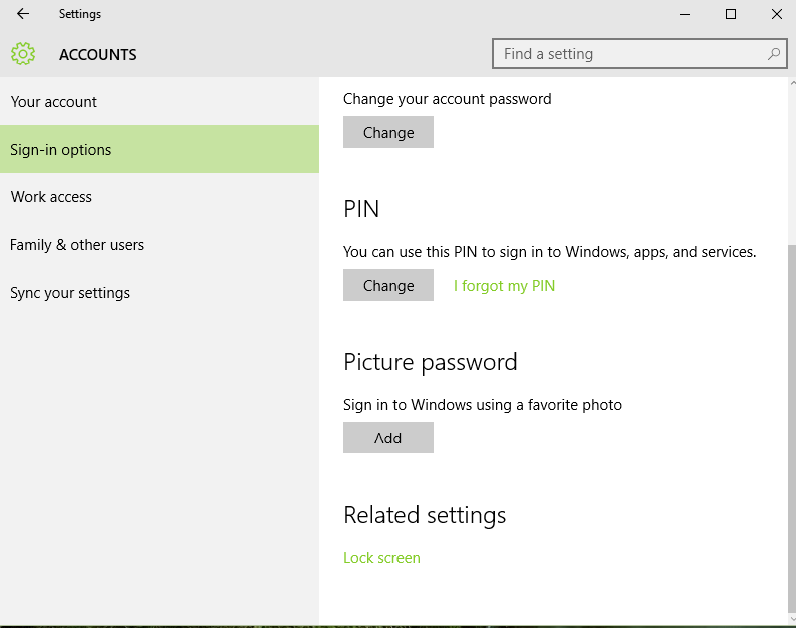 To open Sign-in options, go to Start Menu, click on Settings, now click on Accounts (Your Account, sync settings, Work, family). Here the second option is Sign-in. Click on it. 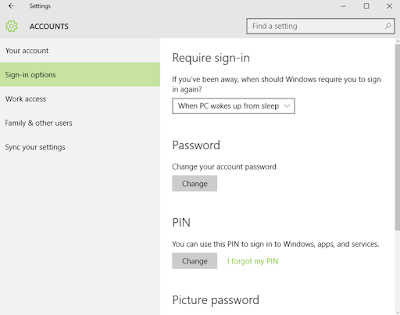 Windows provide many Sign-in options with it latest versions. When you want your PC to sign-in, just tell it. Options are When PC wakes up from sleep and Never. Here you can change your system password. You need an active Internet connection to change this. You can change your PIN here also. 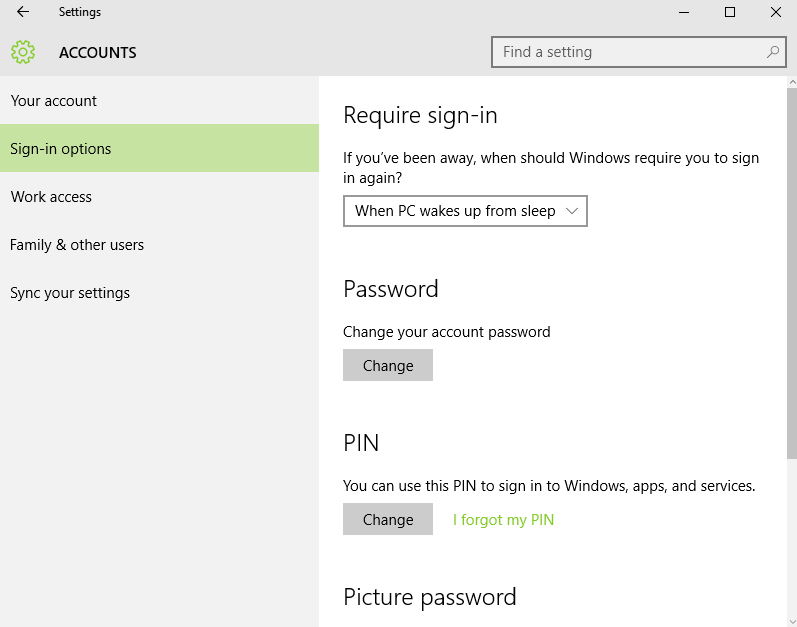 You can sign in to Windows, apps, and services with this PIN. If you forgot your PIN, you can reset it here. 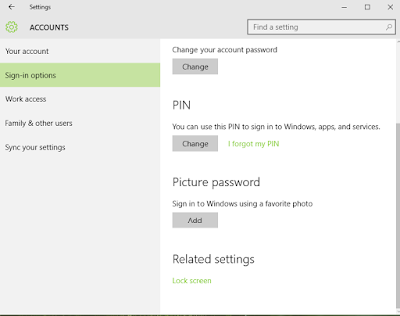 Here you can add a Picture Password to your Windows account. You can set your favorite Picture as Password. You can change your Lock Screen settings from here also. 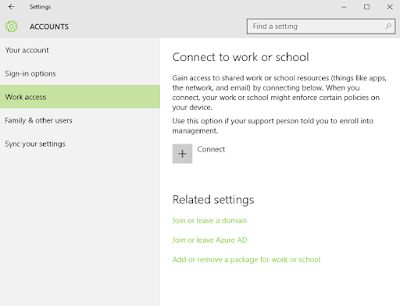 Here you can connect to a Work or a School network. You can gain access to shared work or school resources like apps, the network, and email. 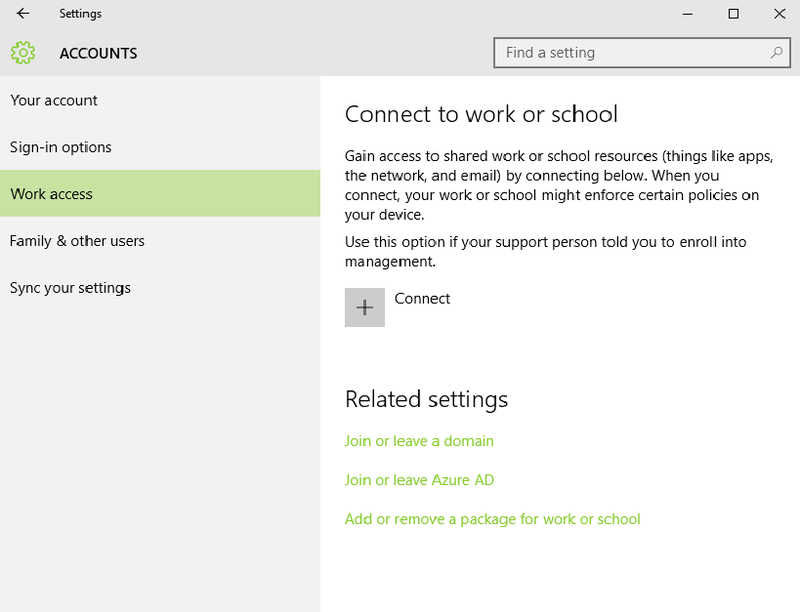 When you connect, your work or school might enforce some policies on your device. To connect to a network press connect. 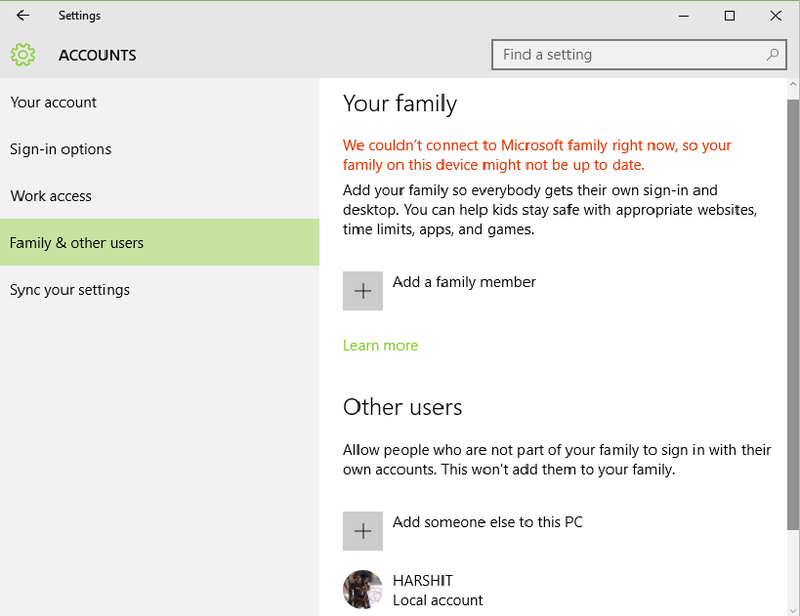 To open Family and other users, go to Start Menu, click on Settings, now click on Accounts (Your Account, sync settings, Work, family). Click on Family and other users. You can add your family members from here. 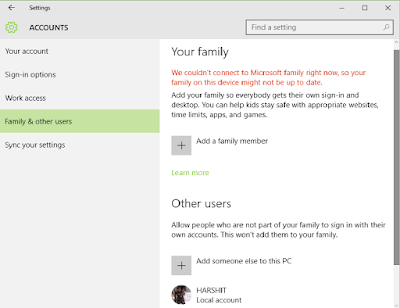 Your family members get to sign-in on their PC with the separate desktop. You can help your children stay safe with appropriate websites, time limits, apps, and games. You can allow people those are not part of your family to sign in their own accounts. This will not add them to your family. You can add them by below button. You can set an assigned access to your PC. You may like HOW TO CONTROL PRIVACY WITH ASHAMPOO ANTISPY FOR WINDOWS 10.